Pigeon Post was a monthly paper newsletter/calendar for Fulking first produced by Jill and Nick Bremer in February 2004. Subsequent editors included Richard Linford (2006-2008), Aidan Walker (2008-2014) and Miles Firth (2014-2017). A group of volunteers delivered it as each issue appeared. Monthly publication ceased in August 2017. 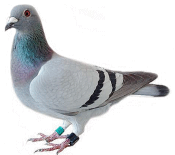 Pigeon Post continues as a quarterly newsletter edited by Jen Green (552). Submissions are welcome. 2018 April, June, September, December. 2017 January, February, March, April, May, June, July, August, November. 2016 January, February, March, April, May, June, July, August, September, October, November, December. 2015 January, February, March, April, May, June, July, August, September, October, November, December. 2014 February, March, May & June, June & July, September, October, November, December. 2013 February, April, May, June, July, August, October, November, December. 2012 February, March, April, May, June, July, September, October, November, December. 2011 February, March, April, May, June, July, August, September, October, November, December. 2010 February, March, April, May, June, July, August,September, October, November, December. 2009 February, March, April, May, June, July, August, September, October, November, December.